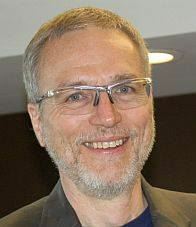 Randy Best, Leader of the Northern Virginia Ethical Society, will give the first Platform talk after our summer break. As Randy says, "In many places in the world humanists face discrimination, violence, and death for expressing their views. At the recent Internationalist Humanist and Ethical Union conference in London, I heard some of their stories. I will talk about challenges facing Humanists in the world today and address challenges to my humanist values in America today."